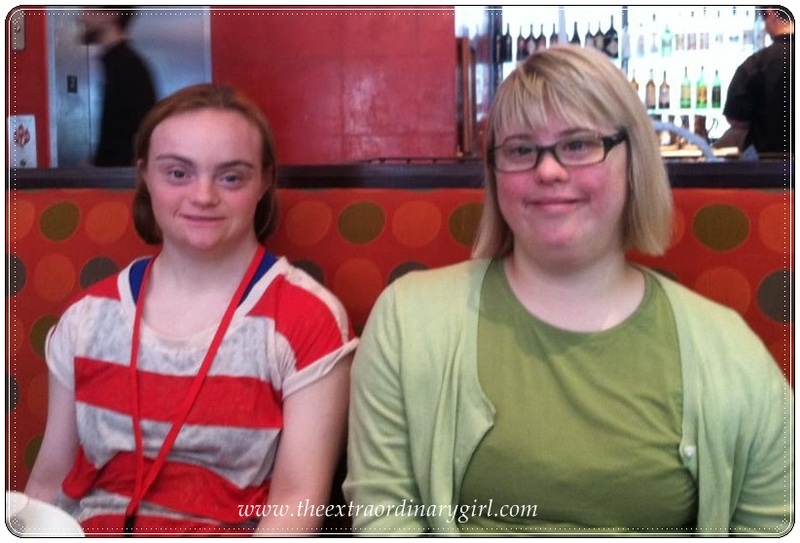 The Ordinary Life of an Extraordinary Girl: Friends from afar! It is so amazing to me the tools I had 20 years ago to connect with other families with children with down syndrome were the phone and books. I do not want to sound like a dinosaur, but in the last 20 years technology has moved at a rate of speed I could never have imagined. Today when I want to learn about other families with children with down syndrome (particularly older and successful adults) I hit search. I can find blogs, videos, down syndrome websites and hundreds of easy accessible books and guides. If you are looking to connect with other families it is the best time to find that support and an even better time to raise a child with special needs. I love reading about little ones with down syndrome. I love seeing how educated these younger parents are about education, benefits, therapies and inclusion. I know their children's futures will be bright. Here is a great listing of many of these wonderful stories. You will see on my sidebar a few blogs I religiously follow. These are the stories of young adults and teenagers whose parents I admire. Caveat - I admire ALL bloggers with children with special needs, it is often not by choice we have children with special needs, but it is by choice we advocate for their futures. Susan from April's Anecdotes is one of those Mom's. I have been reading about three of her six children for the last three years. If you ask me, I say her stories are about three older teenagers/young adults particpating in their communities. Her stories are bright and send the message I want to hear....get your kids involved, give them some independence and let them make their own choices. Susan was the person who told me about the University of Cincinnati's TAP Program, a lead we followed up on rather quickly. This turned out to be the perfect fit for Alex and she will be attending in the fall. When we were in Cincinnati we were able to have lunch with Susan and her daughter April. It made the three day long expensive and exhausting trip 200% successful. I am so glad Alex has Susan and her family around for support. April and Susan are just as charming in person as they are on-line. If you haven't caught this great journal please check it out! And fair warning...after having also been able to meet the very cool Lisa and her daughter last year on a college trip with my son, I am now on a mission to meet all of you and share your triumphs and challenges in person....Hello Cincinnati families! I agree with you about how technology has changed the way parents connect with other families who have children with Down Syndrome. It's mind blowing! Congrats on meeting April! It will be a blessing to have her family close to Alex.